Federal and state-level support for solar, falling equipment costs, and innovative financing models have made solar more and more accessible to middle income families in recent years. In order to broaden that success to include lower-income families, we need to understand and find ways to address some of the unique barriers to adoption these consumers face. California recently published a study that examines this important topic. Solar can stabilize families’ energy bills and protect against increases in electricity rates. Unfortunately, the investment required to go solar remains a significant barrier for the families who most need relief from rising bills – those who struggle to make ends meet every month. An average four kilowatt (kW) solar electric system on a home will cost $16,400. This is no small chunk of change, particularly when we consider that the national median household income was $59,039 in 2016 for all Americans, but even lower for Latino ($47,675) and Black ($39,490) Americans. Existing financing mechanisms, such as leasing or power purchase agreement (PPA) relationships, enable homeowners to install solar with little or no upfront costs. These third-party ownership and financing agreements are widely popular in markets across the country, accounting for 72 percent of U.S. residential solar installations in 2014 (GTM research – U.S. Solar Market Insight Report). However, participation in these models generally requires a credit score or debt-to-income ratio minimum that can be a barrier to low-income consumers and people of color who, on average, have lower credit scores. According to a Federal Reserve study of one form of credit score, individuals in low-income areas had an average score 44 percent lower than individuals in high-income areas. At the same time, Black Americans had a score 52 percent lower than non-Latino white individuals and Latino Americans have average scores 29 percent lower than non-Latino white individuals. These disparities in credit scores limit access to third-party ownership or financing arrangements for solar for the very populations that could most benefit from the low-upfront cost options. Furthermore, solar leases and PPAs are currently unavailable to customers in some markets. Consumer loans are another increasingly popular way to finance residential solar. These products also require good credit; customers with lower credit scores either fail to qualify or are charged higher interest payments that reduce the benefits of solar ownership. If credit score issues are surmounted, there remains a need for credit education. Many in low-income and communities of color suffer from low credit scores primarily because they have never taken or seldom take out loans. For others, bad experiences with credit cards or student loans may have left them with poor credit history. In either case, there is often anxiety related to taking out new loans or entering new financial arrangements that can be prohibitive in its own right to the process of going solar. Groups like Solstice are trying to change the historical reliance on credit scores with their EnergyScore tool. Low-income families looking to purchase solar are also often unable to take advantage of the largest public incentive to making solar affordable, the federal investment tax credit (ITC). People with lower incomes are typically not in a qualifying tax bracket or otherwise do not have the tax burden needed to make the nonrefundable federal ITC valuable. In many jurisdictions, additional local and state tax credit incentives for solar cannot be taken advantage of for similar reasons. A majority of Americans face physical barriers that keep them from installing solar on their own rooftop. A report from the National Renewable Energy Lab and Navigant Consulting found that 73-78 percent of homes cannot host solar due to tree shading, orientation or other factors. Moreover, 32 percent of residents nationwide live in multi-unit buildings or homes with shared roofs. Renters have difficulty participating in rooftop solar even if their home is suitable. The sheer diversity of ways in which tenants receive and pay for their electricity makes solar participation complex. Some pay their own utility bills, some share a meter and split payments with other renters, and in other cases the landlord pays for utilities and passes a portion of those costs on to the tenant. In all of these cases, there is a fundamental disconnect between the entity that would benefit most from the utility bill savings of solar (the tenant) and the entity who would need to make or approve the solar investment (the property owner). These issues are particularly pronounced for low-income households, which are more likely to live in multifamily housing, have unsuitable roofs or rent their homes. For those that do own their homes, the history of suburbanization, redlining, and discriminatory housing policies means that people of color and families with low incomes are more likely to live in older homes that need repairs and upgrades. Homes built before 1960, which represent more than 27 percent of the national housing stock, are more likely to have lead paint, water damage that can lead to toxic mold and poor air quality, plumbing issues, and antiquated heating and cooling systems that rely on expensive oil or inefficient furnaces, boilers, and water heaters. Additionally, in more rural communities, predominantly in the South and West, over one third of homes are manufactured housing. These types of homes are typically inefficient, relying on baseboard heating systems that drive up electricity costs. Addressing these costly issues, which are seen as more closely related to the health, comfort and economic well-being of a family, often takes priority in home improvement decisions. Roof maintenance issues are another common physical barrier that prevents low-income households from getting solar. Solar installation requires stable roofing material (as opposed to slate, which is common on older homes), roofs that don’t leak, and infrastructure strong enough to hold the weight of a solar energy system. Most installers recommend that a roof be at least 10-15 years away from needing major maintenance in order for solar to be installed. Roof replacement is very expensive, averaging $12,000 according to research by Angie’s List, and low-income households often go longer between major retrofits. These additional costs and competing priorities put solar even further out of reach for families on tight budgets. 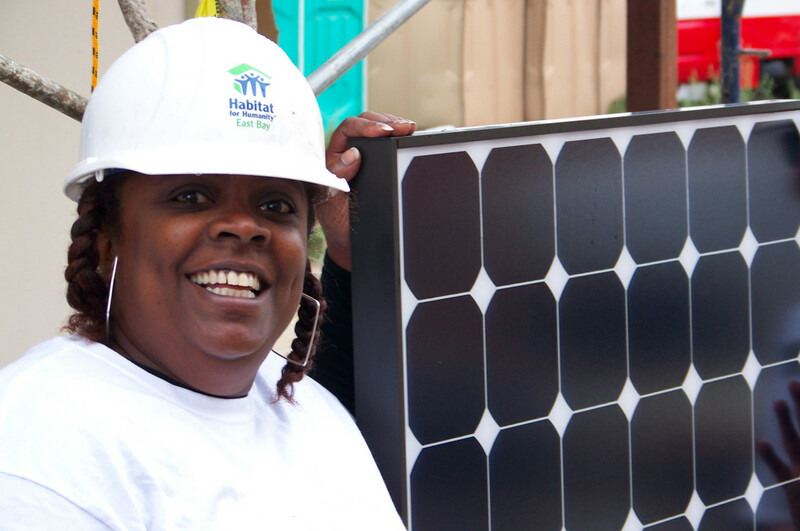 A number of outreach and educational barriers contribute to the challenges involved in extending the benefits of solar to low-income customers. Often the targets of scams, customers in low-income communities may be distrustful of claims relating to energy bill savings and may have concerns about their privacy. Traditional sales teams may not be prepared to discuss solar energy with multilingual and multicultural households. Low-income families may regard solar as a luxury for the wealthy, and so may not believe that they can participate in solar energy at all. These beliefs, in conjunction with the need to prioritize other expenses, underscore the need for meaningful education and outreach in partnership with trusted community organizations. All of these barriers together contribute to another large one: market disinterest. With so many issues to address, successfully serving the low-income solar market requires that a company’s marketing, sales and account management activities be focused to that end. The additional effort and investment needed to serve this market has limited the number of companies that are recruiting customers from low-income communities and therefore limited the education of and opportunities available to those communities. In order to bring low-income participation in solar to scale, the low-income market sector will need to provide competitive and vibrant industry opportunities. This market sector will not develop or scale under the same incentive structures designed for the general market. In fact, without targeted, intentional incentives for investments, the low-income solar market will unlikely develop or scale at all. Solar developers, nonprofits and other partners seeking to drive the low-income solar market will need to find new and innovative ways to structure solar projects to work for low-income communities if it is to be viewed as a viable long-term market.